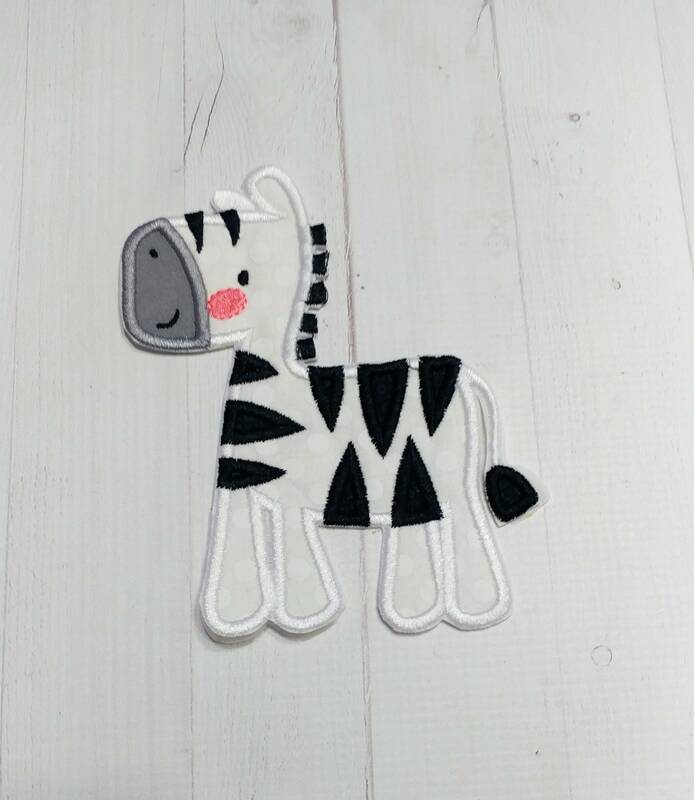 Black and white boxy zebral iron on patch. 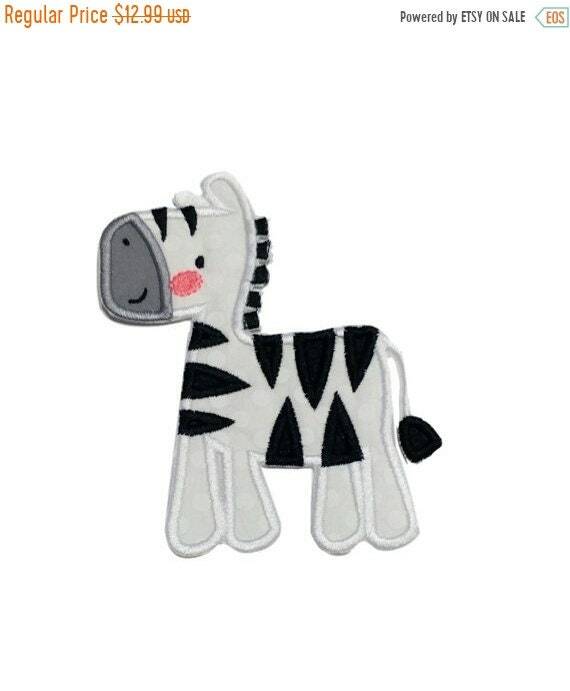 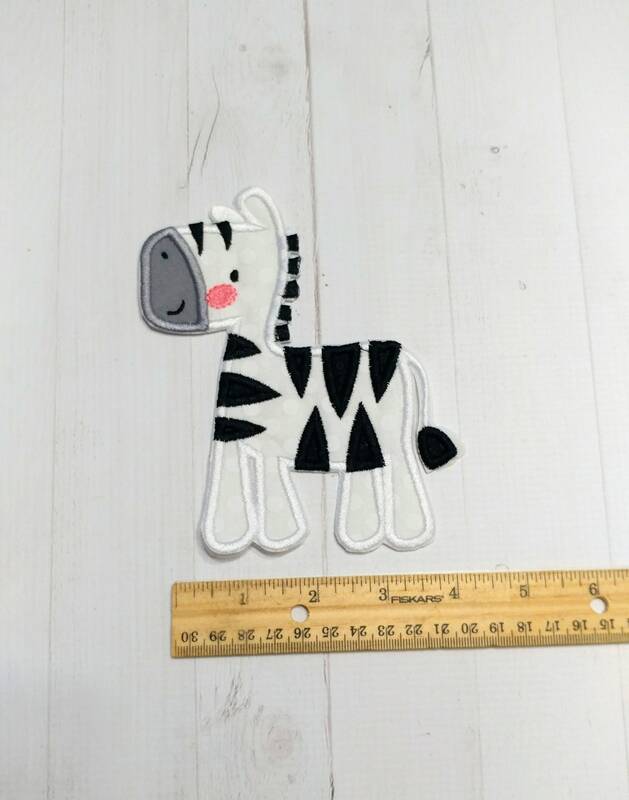 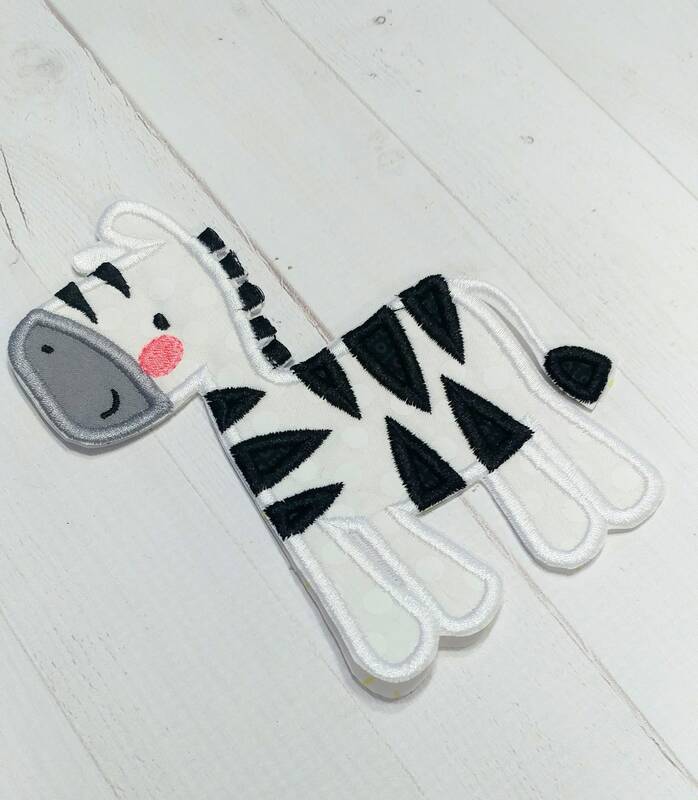 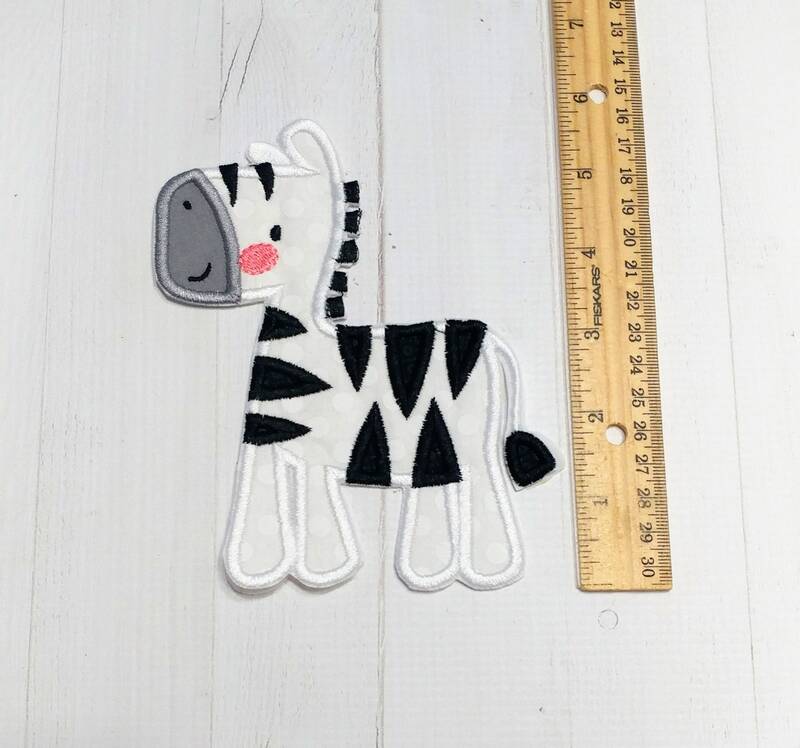 This cute zebral is done in a bright white fabric with solid black fabric used for the zebra stripes. 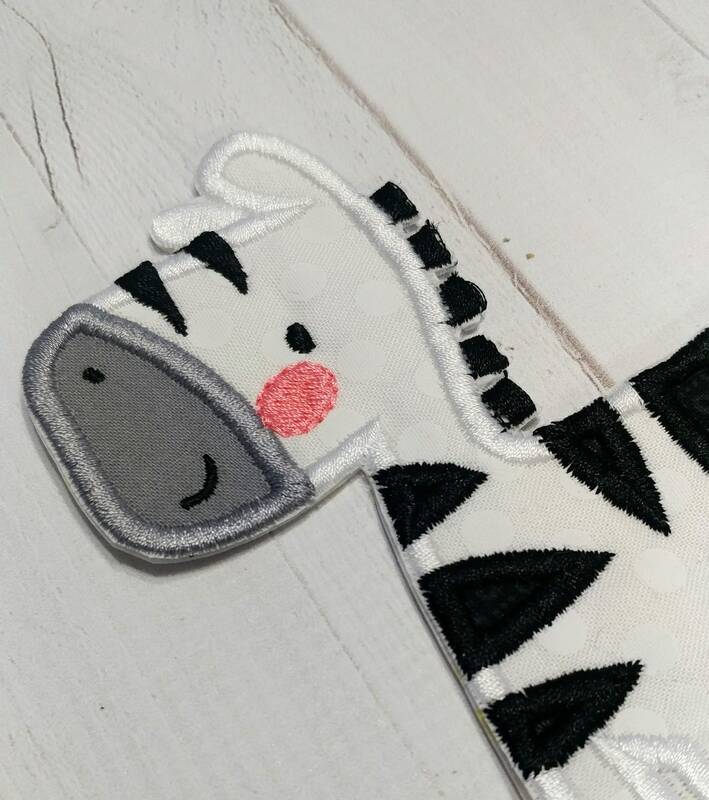 The patch also has a soft gray for the face and soft pink embroidered details.